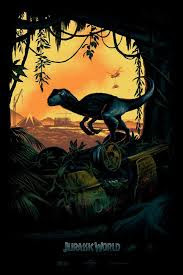 Twenty-two years after the catastrophes with InGen’s Jurassic Park project, Simon Masrani (Khan) has found a way to revive and operate the program and now owns the biggest Themed Resort, Jurassic World, which attracts at least 20, 000 visitors a day. Meanwhile, brothers Zach (Robinson) and Gray (Simpkins) are on the way to Jurassic World to spend some quality time with their aunt Claire (Howard), the park’s Operation Manager. However, Claire has more important matters she feels she needs to attend to and delegates her assistant to look after her nephews. Meanwhile, the park is about ready to release their latest creation, the Indominus Rex, a T-Rex genetically engineered according to the comments of the focus groups. Accordingly, this dinosaur will be bigger, fiercer, and scarier since the public are tired of the existing attractions. Masrani wants the expert opinion of Owen Grady (Pratt), the parks’ Velociraptor trainer, first so Claire fetches him to show the Indominus. But when they arrive, they find that the Indominus has apparently escaped basing on the claw marks on the fence. A team enters the enclosure but is ambushed by the Indominus who faked his escaped through characteristics from various animals whose DNAs he was made from. A bigger chaos is about to ensue with the unstoppable Indominus on the loose in a full-packed park. The only hope is with Owen and his four Velociraptors. A successful box-office film gives its remakes and sequels both an advantage and a disadvantage. On the one hand, there is a ready fan base to support the franchise, on the other, comparison is inevitable for the expectant fans. Jurassic World has some huge shoes to fill and it barely does. Storywise, there is a commendable effort to bring in tender moments between man and beast instead of portraying the once extinct creatures as the antagonists. They, after all, have been forced to live beyond their time for the selfish reasons. Main characters were properly developed and well played but supporting ones are forgettable. There is a lack of humor and punchlines in the script but is flows effortlessly still. The computer-generated images are magnificent and worth one’s while. Jurassic Park really comes to life, structure, attraction, dinosaurs and all. However, the suspense and thrill pales in comparison to Spielberg’s 1993 and 1997 films, considering that CGI here is a thousand times better. Jurassic World is an enjoyable movie but it may not be remembered the way its predecessors are. There is a redemptive satisfaction to be reminded that man cannot dominate creation and nature. You would think that the disaster that took place 22 years ago is enough to teach people that, but no—man finds a way around for the sake a few hundred bucks. Jurassic World is an epitome of man’s greed and conceit and a harsh reminder that these will ultimately lead to his own downfall. On the other hand, Jurassic World emphasizes the importance of relationships and bonds—marriage on verge of breaking up destroys the kids, a woman who focuses on her career more than her family loses meaning, a man who respects life in all forms gains a friend. This specific theme made the difference in this 4th installment of the Jurassic franchise. CINEMA raises a yellow flag on some scenes too graphic for very young children that may either scare or desensitize them. 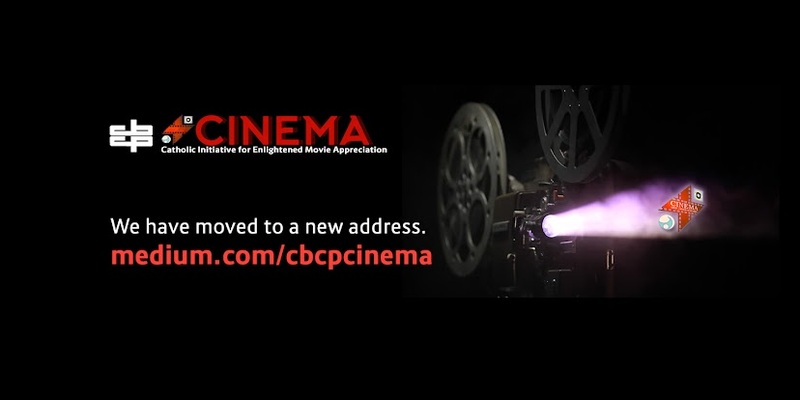 Parents are advised to use discretion in allowing their younger children to watch. 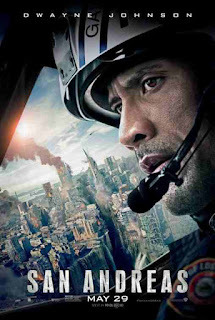 Ray Gaines (Dwayne Johnson), a Los Angeles Fire Department helicopter rescue-pilot is at the midst of his divorce when he takes a dangerous rescue mission and succeeds in saving an earthquake victim trapped in a ravine. Upon knowing that his estranged wife Emma (Carla Gugino) is trapped in a tall building in downtown L.A. and that his daughter Blake (Alexandra Daddario) is pinned down in an underground garage in San Francisco, he races across California to rescue them. Meanwhile Caltech seismologist Lawrence Hayes (Paul Giamatti) predicts the 1,300 km San Andreas fault line is about to set off. He organizes his team and media staff to get on air and he warns everyone about the coming massive earthquake. His live broadcast with journalist Serena (Archie Panjabi) helps get some people out of harm's way. As San Andreas fault shifts and rips apart major cities along the fault line from Los Angeles to San Francisco, buildings collapse and the tsunami sweeps away whatever is left, an epic devastation. San Andreas owes much of its box-office success to its amazing effects, its vivid depiction of mass destruction, which could be the best to-date. Because it involves real people in a realistic disastrous situation (and not real people scurrying away from robots or zombies), the movie is able to engage the audience in the emotional ebb and flow naturally rendering human beings helpless in such a calamity. Director Brad Peyton stages this cinematic destruction of US West Coast in meticulously rendered CGI, so real that it is almost palpable—particularly among audiences in the Philippines when warnings of “the big one”, the imminent splitting open of the West Valley fault. are currently being issued.” The rupturing of a dam, the fires resulting from power lines going haywire, all those scenes are not likely to boost tourism in California, but it should give the viewers their first scary lecture on earthquake survival. Despite the empty nest syndrome—in the middle of a divorce, with his wife now living with a new boyfriend, while his daughter is off to college—Ray has no time to brood as his job throws him into what may be the most challenging rescue mission of his career. At the end of the day, all those sights of the earth heaving and then breaking up and swallowing people alive really isn’t just about the prediction-come-true of a scientist nobody listens to; it’s more about how catastrophes reduce our personal problems into silliness, how—when all around us the world is literally crumbing we get to realize what matters most in life. Spoiler coming: Ray is reunited with wife and together they save their daughter, a victory for the family. Guess who the bad guy is. (CINEMA tip: please keep young children out of the theater. We sat next to a couple with a toddler who kept screaming at the scary sights. The father took him out for a long while and when they returned the kid was asleep—from exhaustion, most likely).